Last edited by botsapper; 02-06-2018 at 04:33 PM..
My connection stuttered so I came in between the launch and Max G.
My favorite part was watching the synchronized propulsive landings 1/4 mile apart. I never get tired of watching those. I used to watch Rocky Jones, Space Ranger on B&W TV. They'd fly in from stage right, nose up and settle s l o w l y onto the tail. I saw Sputnik once too. Now New Zealand has a commercial space program that lofted a 2-frequency geodesic sphere into LEO — the Humanity Star. It's faceted instead of compound curved so it should twinkle better than the similar sized Sputnik. I have to admit it all was pretty cool. Far more advanced than the stuff NASA used to do with the shuttles etc. I watched an interview with Elon Musk. He said that the boosters landed a half second apart (as I had noticed) because they were concerned about cross-talk between the radar on the two boosters. So the discrepancy was intentional and managed. The most valuable part of the boosters is the (new and bigger) titanium guide vanes. The main first stage went kerplunk. Pretty cool stuff! It has been too long since we have seen space stuff. I am glad we won't have to pay Russia to launch things. Paraphrasing Elon Musk in the interview: "Falcon Heavy is starting to look small to me". Falcon 9 and Falcon Heavy are already deprecated. They may build out the fleet, but the focus going forward is the BFR. He said they hope to be making short hop flights (maybe barge to barge) by the end of this year. 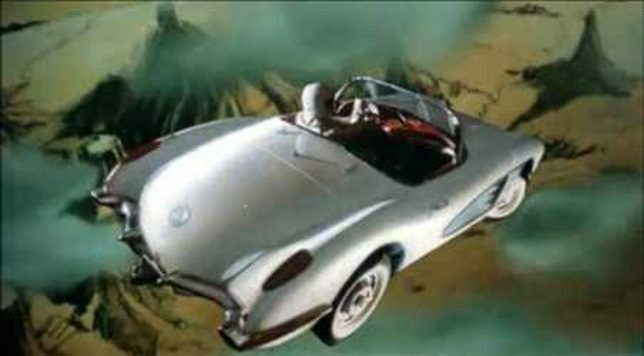 On re-watching, I think maybe even before the synchronized landing (there'll be lots of those) is the shot of the driver's arm on the door of the roadster, with the Earth in the background. That is as important as the Earthrise over the Moon that appeared on the cover of the Whole Earth Catalog. Also, just before the synchronized landing, You can see the first stage flame out most of it's rockets just before the barge is enveloped in smoke and flame. ...then the Space X rep bounces out all happy and says "We got everything we wanted". What he meant was "...just enough mayhem to keep Elon happy!" If you're not breaking enough you're not innovating enough. Last edited by freebeard; 02-07-2018 at 02:32 PM.. I don't understand how landing the first stage is cheaper in the long run than using a parachute and recovery apparatus. Extra fuel has to be loaded on the booster for the purpose of decelerating and landing it. When you load extra fuel on a booster, you have to load several times more fuel just to accelerate that extra fuel. In other words, most of the fuel spent by a rocket is used merely to accelerate the weight of the fuel. Finding ways to reduce the need for small amounts of fuel ends up allowing larger amounts of fuel to be saved. How is the weight and simplicity of a parachute a disadvantage compared to the weight and complexity of powered landing and control systems? It's all down to turn-around time. SpaceX talk about an operation that would be like a busy airport. ...or airports. What's rilly interesting is what they will use for a payload when they test the BFR. it's 30ft across and as big as an Airbus A380. Volunteers? The guide vanes are larger because the nose-cone caps spoil the drag compared to the Falcon 9. It reminds me of the opening scene in Heavy Metal where the Corvette falls from orbit to the Earth. ...while Don Felder thrashes his guitar. Last edited by freebeard; 02-07-2018 at 02:56 PM.. The Magnus wing effect is not very efficient, but that does not matter here as there is a lot of speed and height to be lost. Maintaining rotation should be quite easy. Then I found this site, by NASA. Guess they already know. So it probably won't be feasible. But one can dream.